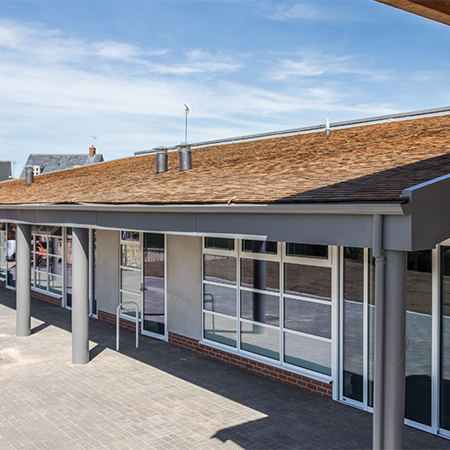 Marley’s JB Western Red Cedar Shingles have been specified to clad a new extension constructed to enlarge Flitch Green Academy in Essex. The extension has added three additional classrooms and support spaces at the primary school as it accommodates a significant increase in pupil numbers on site. A key requirement for the design and specification process was to ensure the new building would blend in seamlessly with the existing school structure. 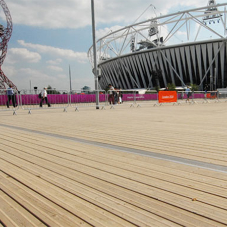 The specification of the Red Cedar Shingles as the roofing solution meant the colour selected would be sympathetic to the current shingle use on site as well as the surrounding buildings, while also providing a clean, refreshing and modern finish.